Welcome to October Baseball, Place to Be Nation! After the exciting wrap to the regular season, it’s do-or-die time for the remaining 10 teams. With this primer, we’ll examine each contender’s road to October and look at what they need to do to emerge winners. The AL Wild Card features two teams that won with slugging in 2016. Baltimore relied on power and bullpen excellence to earn a wild card slot. Led by Mark Trumbo’s ML-best 47 home runs, the Birds led the Bigs with 253 bombs, well ahead of second-place St. Louis (225). True to form, the O’s rarely displayed any sort of speed, finishing with just six triples and a 19-for-32 (59%) success rate stealing bases. The Orioles’ starting staff was shaky all year, with no clear ace, and a collection of so-so arms contributing to a 4.72 starting ERA, the worst among all playoff teams. The O’s saving grace on the mound was the bullpen, led by standout closer Zach Britton (0.54 ERA, 47-47 in saves, 9.9 K/9). Wild Card starter Chris Tillman put up a 2.97 ERA away from Camden Yards this year, but ended up getting knocked around for a 4.45 overall second-half ERA. Toronto had power up-and-down its lineup as well, as eight of nine starting players had double-digit home runs. Masher Edwin Encarnacion led the team with 42, with reigning MVP Josh Donaldson clubbed 37. Longtime Jays’ slugger Jose Bautista battled injuries but still managed 24 homers, as did surprise Michael Saunders. Like the O’s, the Blue Jays do not run often, finishing with just 54 steals. 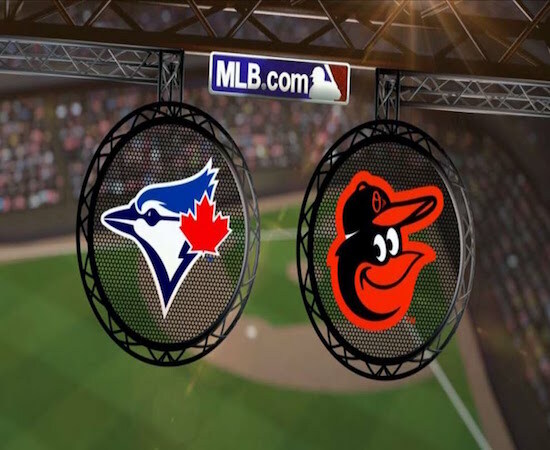 A robust .330 team OBP, however, means the Jays put men on a bit more than Baltimore, which could make a two-run shot into a three-run blast. The Blue Jays’ staff was led by AL ERA champ Aaron Sanchez, who blossomed in his first year as a rotation regular. Unfortunately, Sanchez pitched the final game of the regular season and will be out for the Wild Card game. Marcus Stroman (9-10, 4.37 ERA) will get the nod, but he’ll have a quick hook. Stroman was markedly better in the second half, posting a 4.89 ERA before the break, and a 3.68 ERA after. Baltimore has to make the most of each chance they get with runners on base and hope they score enough to help Tillman hand a lead over to the dynamite bullpen. The O’s need to keep things as close as possible to have a chance of moving on. The Blue Jays have to hope Stroman limits the long ball threat. If Toronto can get into the later innings with a lead, they have a good shot at advancing. The NL Wild Card game on Wednesday is home to an outstanding pitching matchup. San Francisco dominated the NL, along with the Cubs, during the season’s first half, rolling into the All-Star break with the best record in all of baseball at 57-33. The G-Men wilted in post-break, though, dragging to a 30-42 finish. They snuck into the second Wild Card slot on the final day of the regular season. Overall, the Giants won on the strength of two excellent starting pitchers, a top-notch defense, and the deft managerial touch of Bruce Bochy. Atop the rotation, Madison Bumgarner (15-9, 2.74 ERA, 178 hits allowed in 226 ⅔ innings) was stellar, along with Johnny Cueto (18-5, 2.79, 198 Ks in 219 ⅔ innings). After those two horses, it was hit-or-miss for San Fran, although Jeff Samardzija tossed 203 ⅓ quality innings too. In the playoffs, a pair of aces and a third starter is sometimes all you need. Defensively, the team was third in MLB with a .702 defensive efficiency and first with a .988 fielding percentage. At the plate, the Giants were solid-if-not-spectacular, hitting .258/.329/.398, putting them fourth in average and OBP in the NL, but just 11th in SLG. The Mets began 2016 riding high after a great playoff run in 2015, which culminated in a five-game World Series defeat against Kansas City. Still, much was expected of the Amazin’s due to their outstanding young starting quartet of Noah Syndergaard, Jacob deGrom, Matt Harvey, Steven Matz. Instead, what they got was a meager 34 wins from those four. The team got as advertised out of the Wild Card starter Syndergaard (14-9, 2.60 ERA, 218 K in 183 ⅔ innings), but the others faced injuries that stalled their progress or sidelined them altogether. The New York offense, its weakness a year ago, smacked 218 home runs to finish second in the NL, so they’ll look to the power-packed core of their lineup to score runs. Yoenis Cespedes (31) led the team in homers, while Curtis Granderson (30) was right behind him. Double-play combo Neil Walker and Asdrubal Cabrera each hit 23 to tie for third on the team. The Giants will once again lean on Bumgarner to build his postseason legend. The lanky lefty is 7-3 with a 2.14 ERA in 88 ⅓ postseason innings, including NLCS and World Series MVP awards in 2014. Of course, it’s also an even year, and the G-Men have won the World Series in each even-year since this decade began (2010, 2012, 2014). Syndergaard will be tasked with carrying the game for the Mets. Last season, Thor posted a 2-1 postseason mark with 26 punchouts in 19 innings. 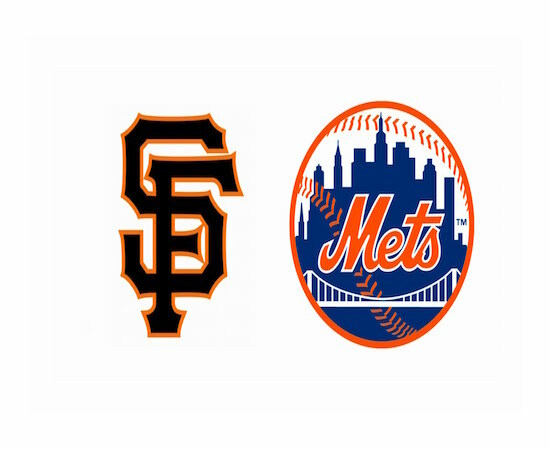 The Mets get to enjoy home cooking as well; they posted a .239/.317/.410 team line at home with 112 homers, while the Giants hit just .244/.132/.381 with 75 home runs on the road. The Amazin’s need to jump on Bumgarner early to give Thor a margin to work with if they want to advance. With that, we will take a break to sit back and watch the single-game madness unfold. We’ll be back later this week with a look at the rest of the playoffs.